If your business relies on goods or services being transported to and from your customer base, then your vehicles are as crucial to your business as the things you sell, and saving your drivers time saves you money. To preserve your trucks, commercial overhead doors may be the solution. If your site already has commercial overhead doors, then regularly maintaining those doors benefits everyone in your employ. Drivers entering and leaving don’t want to be held up by doors moving slowly. If they stop entirely, then your workflow may be held up further still, annoying your customers while costing you more in wages as drivers are forced to work longer. Without commercial overhead doors, you most likely have to park your fleet outside, where vehicles are at the mercy of the elements. Wind and rain devalue everything they can. Keeping your trucks inside can save you service costs as well as having to replace parts. Security is another issue: thieves can more easily climb over or cut through fencing than they can get their way through a locked commercial overhead door. If your stock and your fleet are in the same place inside, it’ll be easier to provide comprehensive security for both. 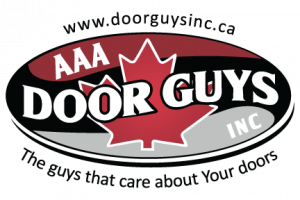 We at AAA Door Guys Inc. understand the challenges of running a business right. 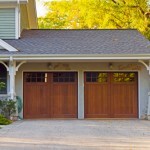 That’s why we’re experts in not just selling commercial overhead doors, but also installing and maintaining them. If you’re in Barrie, Innisfil, Muskoka, or Newmarket, we offer 24-hour service and guarantee our work.